Save up to 30% of the budget for business trips of all your employees under a corporate service contract. Read the conditions. Fill out an application form on the right! Earn more by one of the partnership contracts with "Business Visit"! Find out what form of cooperation will suit you. Fill out an application form on the right! corporate travel services for enterprises. up-to-date information on the last changed in tariffs, rules, and legislation. 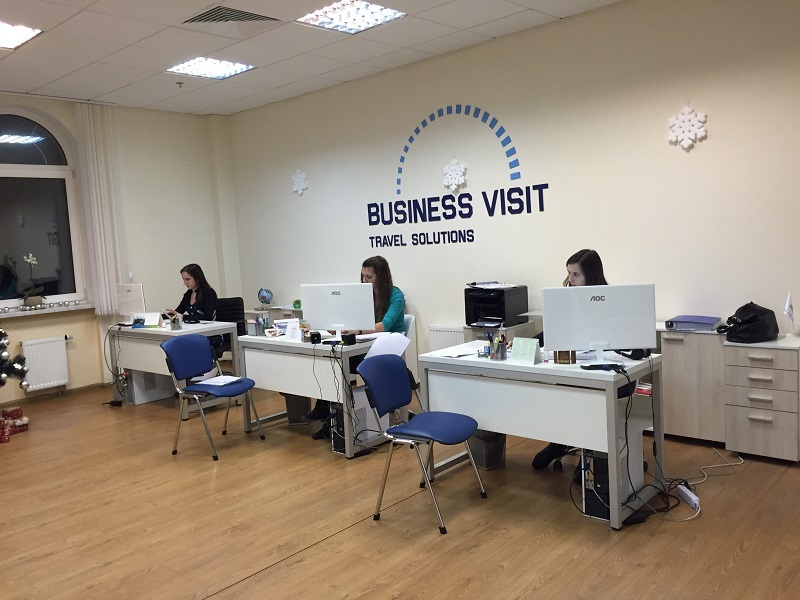 Managers of Business Visit trip company follow specially-developed quality standards. While processing orders, only the latest technologies and booking systems are used. These allow our managers to serve our customers quickly and efficiently, choosing the best offers and save up to 30% of the travel budget. More than 500 airlines and 230 tour operators within one of the best travel agency! 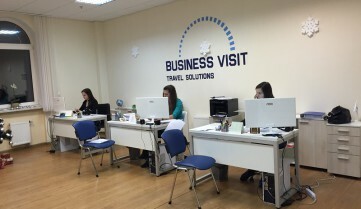 What is Business Visit Travel Agency? Tickets and hotels gained from all global booking systems. Flight tickets from more than 500 world airlines. Contracts with all tour operators that provide a wide choice of tours. Certificate of the Ukrainian State Aviation Service. International Air Transport Association (IATA) accreditation. Managers certified by all global booking systems and leading tour operators. The travel agency provides its services as in offline offices, as well as remotely and online through travel agency website — 24/7. Travel companies-partners from more than 35 cities of Ukraine. Business Visit travel and tours agency will arrange everything what are needed for your trip. You can get a flight ticket or be issued a visa with our help, as well as book hotels along the entire tour and rent a car in any country. You are free to organize yourself an unforgettable vacation, as early-planned, as well as spontaneous, choosing a last minute tour with Business Visit vacation agency. Meanwhile, you’ll be able to save your budget either due to the low cost of the last minute tour or by performing an advance booking of a planned tour — early booking. Our travel agency monitors the tours prices permanently, therefore, you have the chance to choose from the best options. Business Visit tour agency is specialized in business tours organization as well: complete services during trips allow expanding business dealings and business-opportunities. An individual approach to your tour creation and its professional organization as a result. Business tours are for Top managers and business owners. 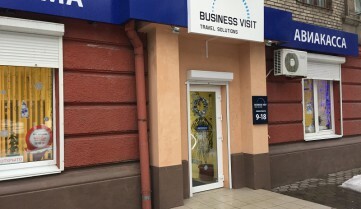 Regular customers of Business Visit travel company, who cooperate under a corporate service agreement, could be found not only in Kyiv offices but in many other regions of Ukraine as well. The corporate service agreement allows you to get everything your employees need for business trips, in the comfort of your office. According to the above-mentioned agreement, you’ll get a convenient credit transfer and all required accounting documentation, along with discounts and special offers. 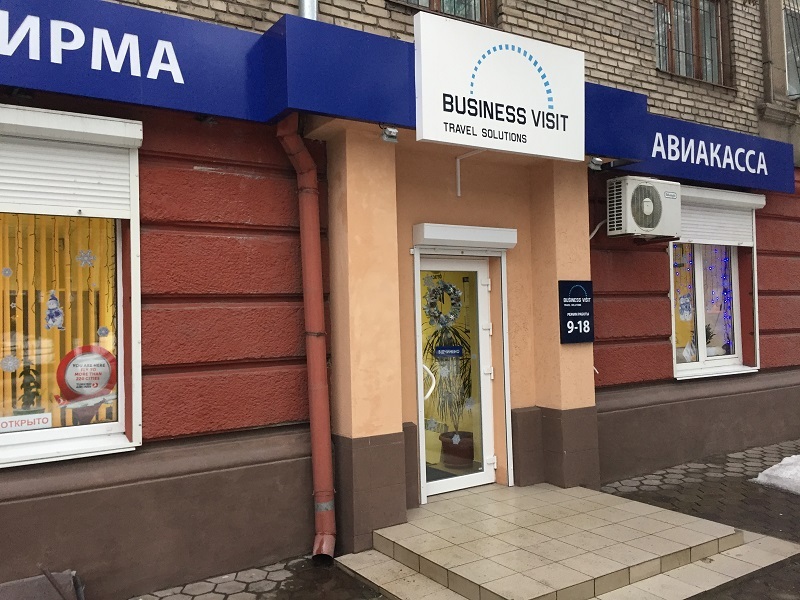 Travel companies from all regions of Ukraine (35 cities) successfully cooperate with Business Visit travel agency. We conclude contracts with new agents every month. All tour agencies of Kyiv and other cities, who are interested in our company, are invited for a partnership for flight tickets sale, visas issuing, hotels booking and business tours organization for your customers. Have you found a field of cooperation that suits you? Call our managers for further details and future cooperation: Kiev +38 (044) 303 91 62, Dnipro +38 (056) 794 02 40, Zaporizhia +38 (061) 228 17 08. On our website you have 2 options: 1 – to book a ticket independently; 2 – to entrust the selection to an experienced professional. Booking is for free! At any time of day without leaving your home or office, you can independently select, pay for and receive an electronic railway ticket. Save your time! To buy a bus ticket online independently and go direct! Tickets for buses from the Boryspil airport, buses from Kiev to the coast of the Azov and Black seas or from Kiev to cities of Europe. Select from a variety of routes on our website. Last minute tour is a great service with significant savings for 3-5 days prior to departure. Book a tour to Egypt, Turkey, the UAE or to another visa-free country and enjoy your holiday in 1-3 days! Entrust the preparation of documents for the embassy to professionals. You will be assured of a prepared documentation package and save your time. Visas to all Schengen countries, the USA, Canada, UK, New Zealand, Australia, Asia. Different types of visas: tourist, visitor, business visas, student, fiancee visas. To order in time a new or second foreign passport by applying to the experts of “Business Visit” in Kiev and Zaporozhye. In Kiev, we process foreign passports for adults and children with any Ukrainian registration. In Zaporozhye – with a registration in Zaporozhye and region. Urgent registration of foreign passports and travel documents for children. On our website you have 2 options: 1 – to book a hotel independently and pay in currency for the stay on site, 2 – to entrust the selection to our experienced professional, pay in UAH for the stay and get documents for accounting. Remember, not all hotels are suitable for a visa application. On our website, you can hire a car in the city where you want to go in Ukraine or abroad. If you need a limousine, armored car, minibus or with a guide or transfer from the airport – our manager will individually organize it for you. All services of the travel agency are focused on the fact that planning and the trip itself will be as comfortable as possible, without the hassle. We care about everyone!